Twice a year, in January and in June, Florence is the destination where fashion people gather to see which are the new menswear trends and the new proposals from the creatives that we’ll see the season after. Buyers, journalists, models and the Pitti boys, the new dandies, who every editon of the fair show off their elegance and personalities wearing colorful and eccentric outfits, completed with refined accessories, are the protagonists we met during these four days in Florence at the Fortezza da Basso. 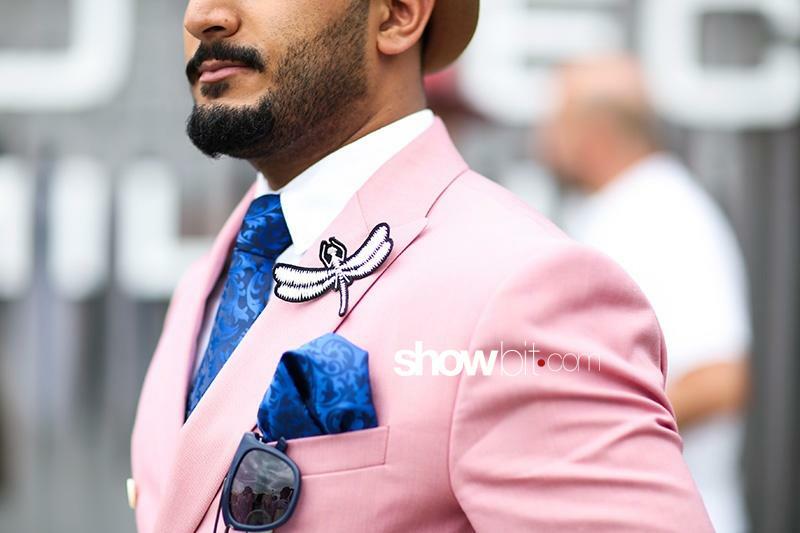 Pastel colors for the made-to-measure suits, bizare and playful socks, leather watch bands while for the head vintage sunglasses and white hats.